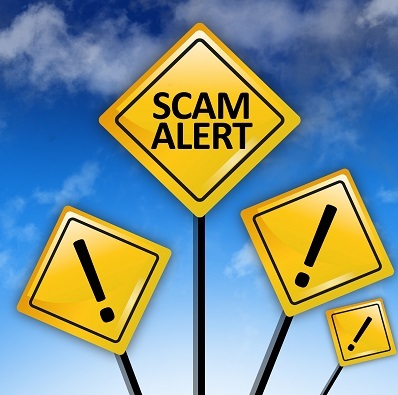 Income tax scams are nothing new, but the latest one has a fresh twist. The Internal Revenue service warns that taxpayers could get conned into handing over tax refunds deposited in their accounts—that’s nothing new. The twist is that fraudsters file a real tax return with stolen data so filers get a real, but erroneous, refund. The criminals then pretend to be someone in authority to get taxpayers to “return” the refund money. A criminal steals taxpayer information, usually by tricking a tax preparer into clicking a phishing link that installs malware that gathers data. Using the taxpayer’s (i.e., victim’s) real data, the criminal files a tax return – the refund is either mailed as a paper check to the taxpayer’s address or electronically deposited into the taxpayer’s real bank account. The victim receives a call (either an automated recording or a live person) claiming to be from the IRS or a debt collection agency working for the IRS. The victim is told that the refund was made in error and needs to be returned using instructions given over the phone. The victim thinks the money is being sent back to the IRS, but it’s actually going to a scammer. File early. It’s the most important step to avoid becoming the victim of any tax scam, according to this Tax Time Tip Sheet from the National Cybersecurity Alliance and the Identity Theft Resource Center. Since the IRS accepts one tax return for each Social Security Number, you would ideally file yours before a criminal has the chance to submit a return with your information. Never follow instructions provided over the phone or via email. This is true even if the person claims to be from the IRS. If you receive a refund but haven’t filed taxes yet, then follow the IRS’ online instructions for how to return an erroneous refund – paper check or direct deposit. Stay on your toes. Different versions of this scam, or versions of those used in the past, could pop up all tax season. Be on the alert for anything that doesn’t seem right. If you do actually have a bogus tax refund sitting in your account, the IRS has instructions for how to actually return the money. The IRS says you can call them directly at 1-800-829-1040 if you have questions about your tax refund or believe you’ve been the victim of a scam.